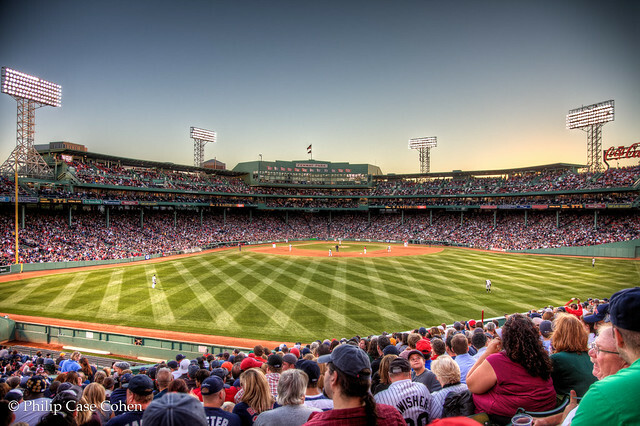 Fenway Park turned 100 years old this year, and the amazing historic park will always be a favorite place of mine to visit. This year’s baseball hasn’t been very inspiring, but the sunset this evening at least partially made up for it. 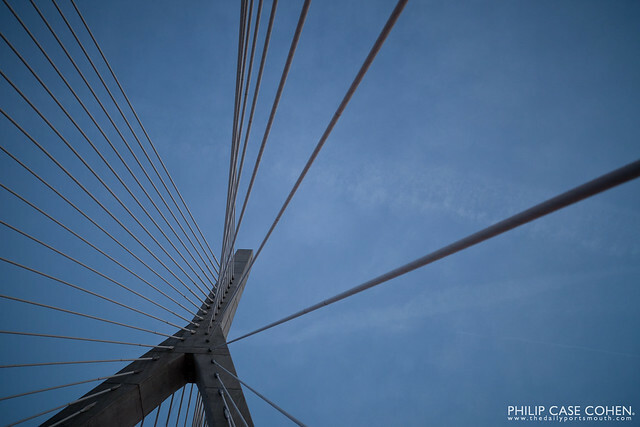 One of the most recent additions to the Boston skyline was the Leonard P. Zakim | Bunker Hill Memorial Bridge (named after civil rights activist Lenny Zakim), which is the widest cable stay bridge in the world. The bridge has two prominent towers that the cable stays protrude from, which were meant to mimic the Bunker Hill Memorial nearby. The opening of this bridge was symbolic as the infamous Big Dig project neared completion and Boston roadways were changed for what is likely to be centuries to come. 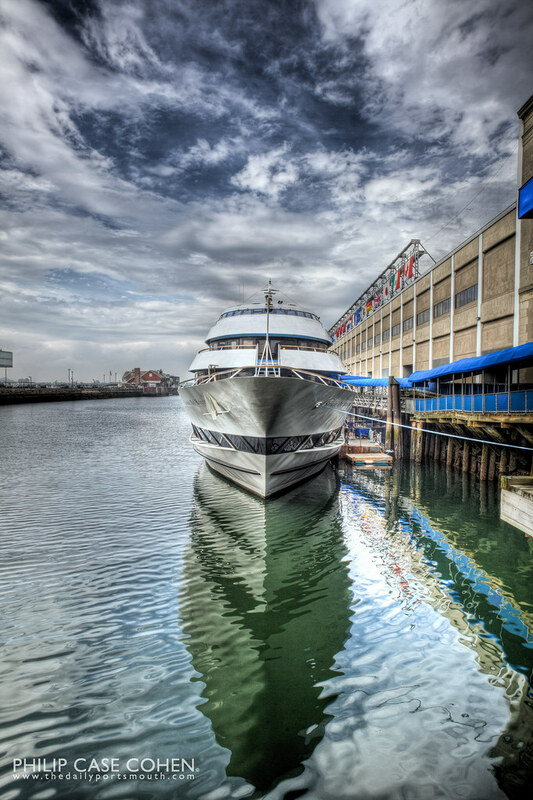 I love the modern and distinctive feel of the structure, and think it’s cool that it has become synonymous with Boston and the recent blockbuster movies that have featured it (The Departed, The Town….and the fact that any Boston interview on a news station seems to be broadcast in front of it). In any event, I was lucky to have a ride to the airport so I could snap this shot through the sunroof on the way to my first Christmas in Florida. More to follow on that later in the week…hope you enjoy this architectural gem. 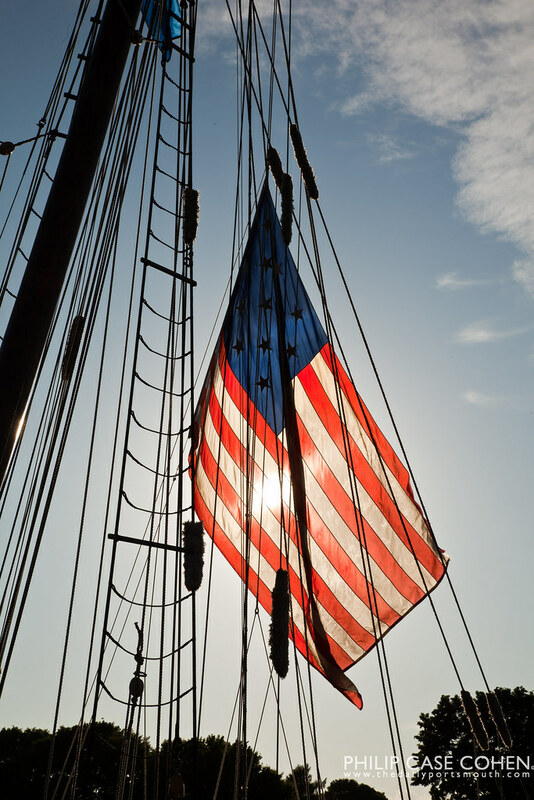 Also – Please take a moment sometime during your day today to reflect and remember the Veterans that have served our country and protected the freedoms that we are so lucky to have here in America. It definitely wouldn’t be the same place without the sacrifices that so many have made on our behalf. 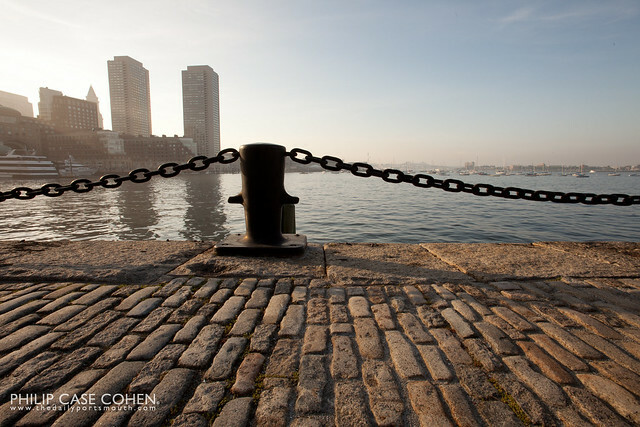 Here’s a shot back from this summer’s adventures in Boston, with 5 bracketed exposures that were taken during the Worldwide Photowalk held in Boston’s Seaport District, which was led by none other than the talented Brian Matiash. This building was pretty interesting, with a gorgeous and unique overhang and a relatively quiet afternoon with few people strolling about. I always enjoy hanging around new places that intrigue me, and I loved the colors of the building (the Institute of Contemporary Art building on the waterfront)…which is appropriately coolly designed for its contents. Photography is always a fun challenge because it forces you to select what moment you want to capture, and/or what you want to include in your frame. 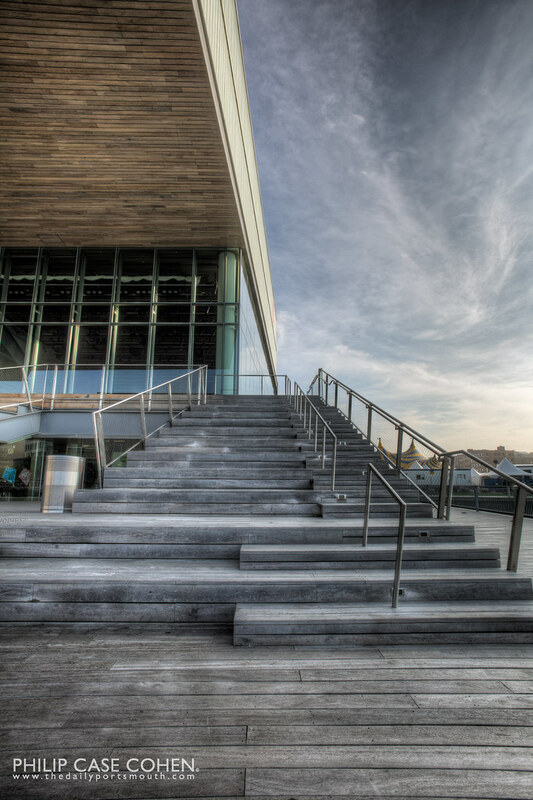 Sometimes movement and composition come together in a shot, but this time it was more the static lines of the stair case and the exterior lines of the building that made for a nice dynamic set against a summer blue sky. 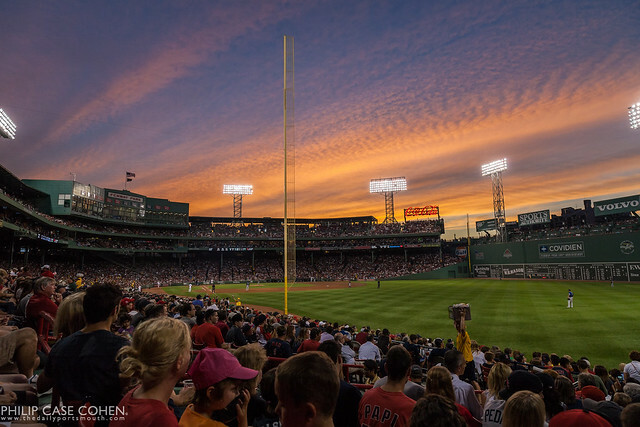 It’s not everyday that someone gets to attend a baseball game between the rival Boston Red Sox and the New York Yankees in the historic Fenway Park. I was lucky enough to catch a game this year, and the weather was perfect….nice and warm during the afternoon portion of the game that started at 4, cooling off and feeling like a perfect fall night once the lights came on. I always love visiting Fenway, and enjoyed sitting out in the bleachers for a change. Hopefully next October we’ll have a healthy roster and will be looking forward to the opening series of the playoffs. 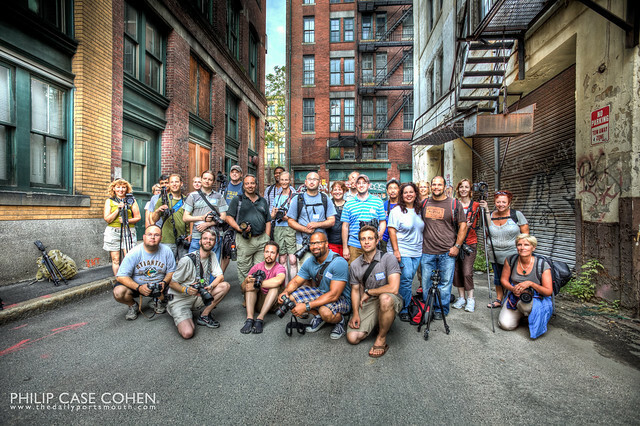 This year I took part in two sessions of the 3rd Annual Scott Kelby Photowalk. In the morning I made a quick appearance at the local Portsmouth walk led by Ron Risman…before heading down to Boston to meet with some sharp photographer fellows (Brian Matiash, Pat O’Brien, Scott Wyden Kivowitz and Andrew Yaniuk) for a quick tour of the Sam Adams Brewery before the evening photowalk in Boston. I have a few hundred images to wade through, but had a great day of New England shooting….in the meantime, here’s a few shots that I got to sooner than later. More to follow through the rest of the week. I enjoyed meeting the group and it was awesome to put a face to so many names…looking forward to everyone’s shots! 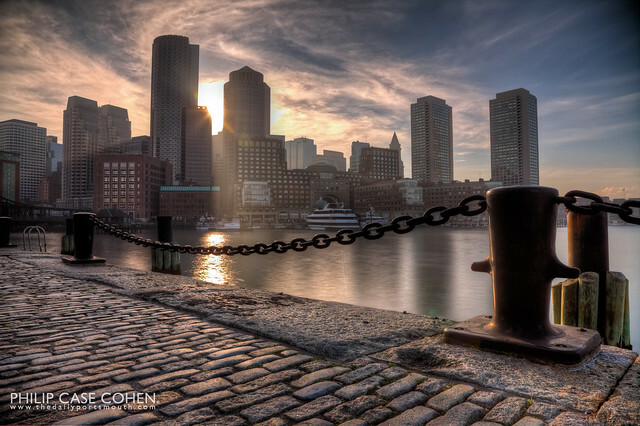 The shot above was taken near the World Trade Center Boston in the Seaport district. 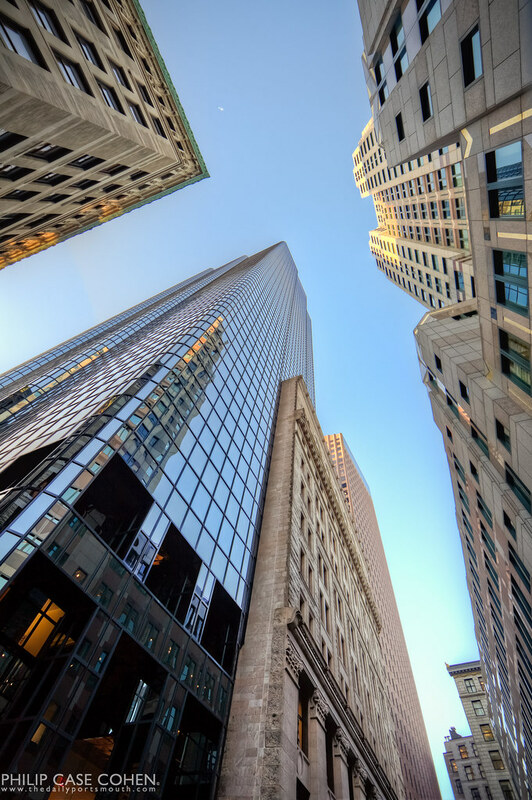 The next shot was taken with one of my latest rentals…a Carl Zeiss 18mm manual focus lens. So far I’ve found that it’s incredibly sharp and has beautiful color directly out of the camera. The last shot is one of the Boston group led by Brian Matiash…we had a great time wandering the streets and shooting, and thankfully the skies stayed clear through the early evening (click the image to see it large! ).